The Bucs will be hosting the Dolphins of Jacksonville (10-10) on Thursday night at 7:00PM. ETSU comes winning 2 of their last 3 including a 10-point victory at KSU on Saturday. 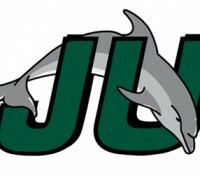 Jacksonville comes in hot with a 3 game winning streak and a 5-2 record in the conference that has them in 2nd place. ETSU hopes to pick up where they left off on Saturday. The Bucs had their best shooting game of the season against KSU on Saturday. ETSU has struggled at home this year with only winning two games on their home court while Jacksonville has struggled on the road. 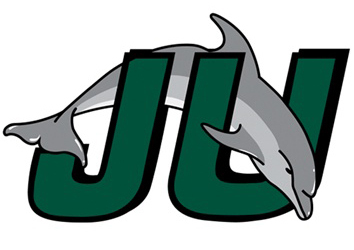 After a disappointing season last year Jacksonville has started out strong in conference play. Jacksonville is lead by guards Keith McDougald and Jarvis Haywood. The Dolphins are somewhat hard to figure out as they go blown at home earlier this season to Wofford by 42 points but have been playing very well since starting conference play. Jacksonville puts up very similar stats to ETSU which should make for an evenly matched game. ETSU is coming off their best shooting output of the season. The Bucs shot 63% from the field and 69% from the 3-point line on Saturday. Both Jarvis Jones and Lester Wilson had strong games, with both combined going 7-8 from the 3-point line. In addition to that, KGC has also played a very important role the last two games. For ETSU to Win they will need strong play from their top two scorers Wilson and Jones. It is also vital that KGC and Hunter Harris play well on both sides of the ball. Good shooting and limiting their turnovers is also vital for the Bucs success. This is defiantly a winnable game for ETSU as both teams are fairly evenly matched. A win will put ETSU right back in the mix of things in conference play.